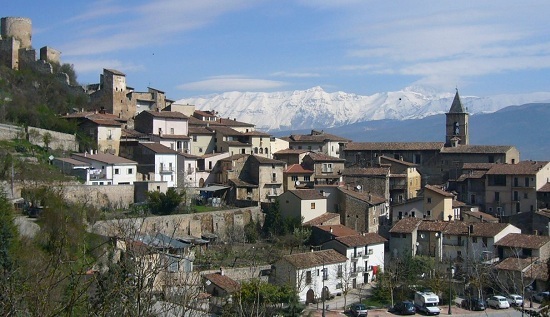 L'Aquila sits upon a hillside in the middle of a narrow valley, tall snow-capped mountains of the Gran Sasso massif flank the town. A maze of narrow streets, lined with Baroque and Renaissance buildings and churches, open onto elegant piazzas. The name of Aquila means "Eagle" in Italian. Construction was completed in 1254 under Frederick's son, Conrad IV of Germany. From its beginnings the city constituted an important market for the surrounding countryside, which provided it with a regular supply of food: from the fertile mountain pastures provided summer grazing for numerous flocks of sheep, which in turn supplied abundant raw materials for export and, to a lesser extent, small local industries, which in time brought craftsmen and merchants from outside the area. Within a few decades L'Aquila became a crossroads in communications between cities within and beyond the Kingdom, thanks to the so-called "via degli Abruzzi", which ran from Florence to Naples by way of Perugia, Rieti, L'Aquila, Sulmona, Isernia, Venafro, Teano and Capua, its economic and territorial development was rapid. L’Aquila minted its own currency, a true privilege of the medieval era, and also gave impetus to some specific activities; that of the silk, wool and lace industries, as well as the cultivation of Saffron, which allowed it to assume a role, second to that of Naples, as the most important centre of the Angioino reign. The City’s decline began in the final years of the 15th Century and in the first of the 16th, when L’Aquila found itself involved in the war between France and Spain. There are numerous 16th Century Palaces and monuments along the roads of the historical inhabited centre, which come from the Baroque and neo-classical eras. The late Roman Church of Saint Mary of Collemaggio, founded in 1287 outside the City walls, is characteristic for its façade and marmoreal incrustation and for its beautiful doors; it’s the most decorated and well preserved monument of the City, as well as being the highest architectural expression of the entire region. Between the tragedy of the past, the difficulties of the present and hope for the future. Earthquakes mark the history of L'Aquila, as the city is situated partially on an ancient lake-bed that amplifies seismic activity. On December 3, 1315, the city was struck by an earthquake which seriously damaged the San Francesco Church. Another earthquake struck on January 22, 1349, killing about 800 people. Other earthquakes struck in 1452, then on November 26, 1461, and again in 1501 and 1646. On February 3, 1703 a major earthquake struck the town. More than 3.000 people died and almost all the churches collapsed; Rocca Calascio, the highest fortress in Europe was also ruined by this event, yet the town survived. L'Aquila was then repopulated by decision of Pope Clement XI. The town was rocked by earthquake again in 1706. The most serious earthquake in the history of the town struck on July 31, 1786, when more than 6.000 people died. On June 26, 1958 an earthquake of 5.0 magnitude struck the town. On April 6, 2009, at 01:32 GMT (03:32 CEST) another earthquake of 6.3 magnitude struck again. The earthquake caused damage to between 3,000 and 11,000 buildings. Several buildings also collapsed. 308 people were killed, and approximately 1,500 people were injured. Twenty of the victims were children. Around 65,000 people were made homeless. There were many students trapped in a partially collapsed dormitory. The April 6 earthquake was felt throughout Abruzzo; as far away as Rome, other parts of Lazio, Marche, Molise, Umbria, and Campania. Meanwhile, many small and medium sized businesses have been forced to close due to the failure to restart. One of Italy's most beautiful city in the hands of the incapable. L'Aquila 3 years later. A silent testimony to an inefficient and corrupted bureaucracy where every day something happens but over the years nothing has changed. Twenty years of Berlusconian government have polluted all the wells of society, eroding the same foundations of democracy. 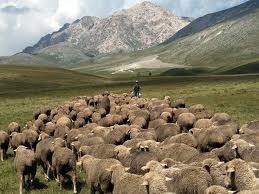 Coming out it will be long and arduous.